Hargittai, E., & Hsieh, Y. P. (2010). From Dabblers to Omnivores: A Typology of Social Network Site Usage. In Z. Papacharissi (Ed. 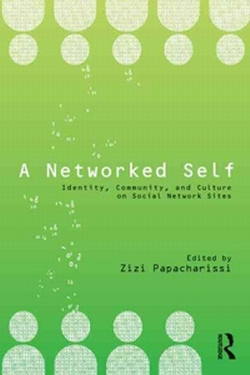 ), A Networked Self: Identity, Community, and Culture on Social Network Sites (pp. 146-168). New York: Routledge. Despite the upsurge in social network sites (SNS) research, most current investigations tend to look at SNS usage as an either-or phenomenon by focusing on the use of just one such site or, alternatively, investigating the use of any such site at any level of engagement. However, such approaches may not be able to account for the fact that users are likely to use multiple social network sites at various levels of engagement. In this chapter, we put forward a typology of SNS usage that takes into consideration both frequency and diversity of SNS uses, the combination of which we refer to as “SNS use intensity.” We then apply this framework to an empirical example of SNS usage intensity in a community. Feel free to email me to request a PDF copy of our chapter. But, in my humble opinion, the book is worth buying since it has so much more to offer.